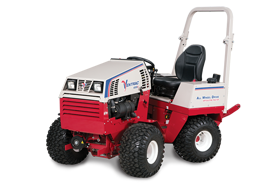 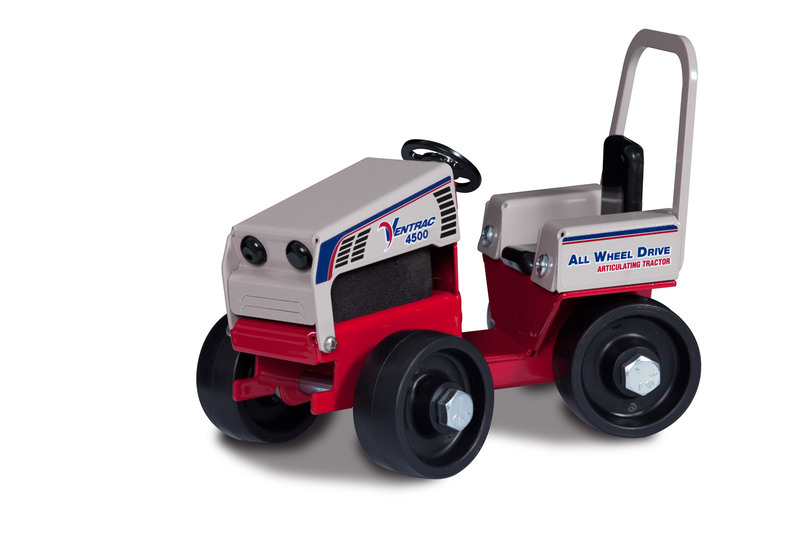 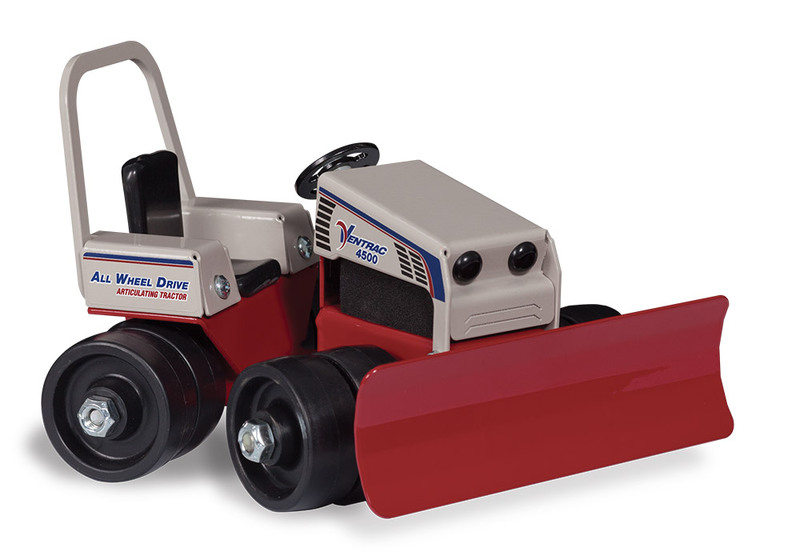 The New Ventrac Collectible 4500 Tractor is a 1:12 scale metal replica of the Ventrac 4500. 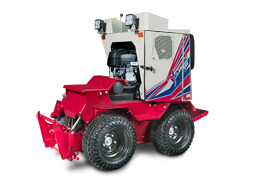 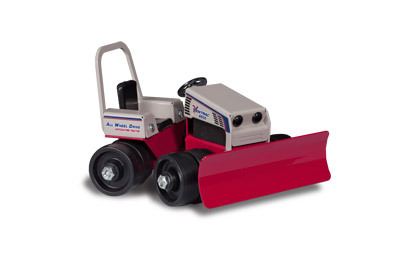 It features an articulating chassis, spinning wheels, and mount system for included blade attachment. 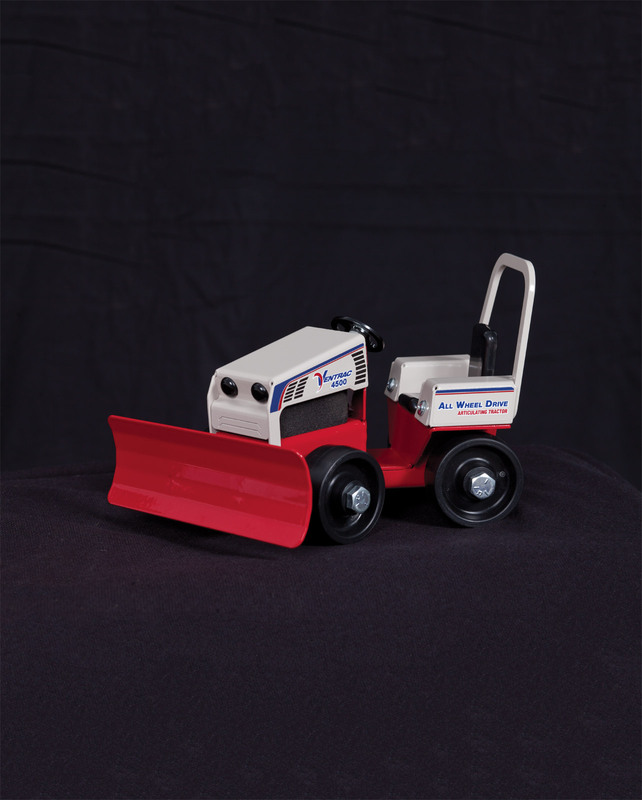 This collectible tractor is designed & built by Ventrac. Upgrade your CT4500 by adding the optional Dual Wheel Kit (Part# 70.9902). Get your collectible tractor by visiting your local dealer. 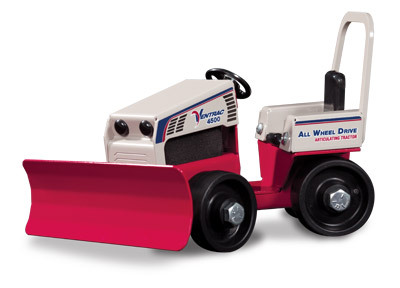 This is not a toy, not intended for children under 12. 18-months old Quin show why he is a top fan. 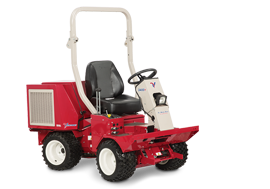 Post a video response to his video explaining why you are a top fan for a chance to win a model Ventrac. 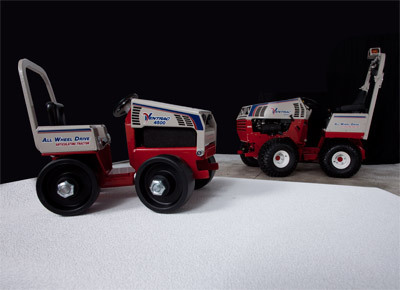 Enlarge Picture / Press Link · Ventrac 4500 Collectible Scale Model comparison - The CT4500 is a 1:12 scale model of the Ventrac KN4500 (pictured in background).